Young, J. Z. (John Zachary), 1907-1997, “Letter from J. Z. 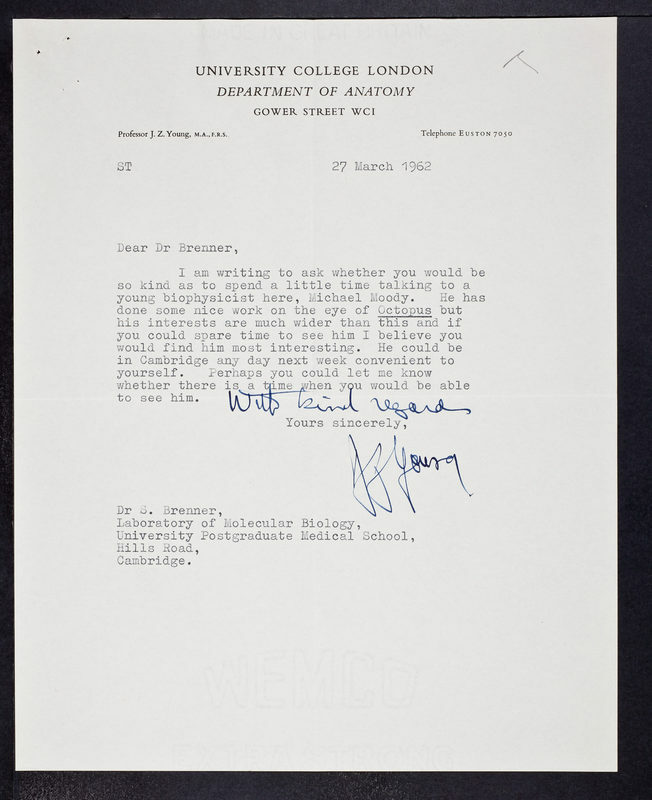 Young to Sydney Brenner,” CSHL Archives Repository, Reference SB/1/1/788/21, accessed April 24, 2019, http://libgallery.cshl.edu/items/show/66752.